As I stood in the kitchen finishing up the dishes from the day, I heard little feet make their way down the stairs. I peeked around the staircase post and saw Piper slowly making his way down. “I can’t sleep. Can I help you?” He asked. Generally when I ask this question, without any cookbooks nearby to help, the kids just look at me with blank stares. After going through the first cookbook (I pulled 3 from the shelf), I noticed a trend: Piper likes anything that’s aesthetically-pleasing, like heart waffles and food on a stick. I’m not one to purchase random kitchen gadgets, but I could see the heart-shaped waffle maker possibilities for school lunch and breakfast, so I ordered one from Amazon. It should arrive tomorrow. I’m picturing waffles for lunch, and lots of sammies (sandwiches) made out of heart waffles. That will be well worth the $30 spent on a specialty appliance. And, naturally, little skewers were also added to my Amazon cart. Because apparently food on a stick is really appealing to an eight year-old, and I’m guessing it will also be appealing to my six year-old. Granted, the kids’ lunches aren’t going to be heart-shaped or skewered most days, but why not add some fun touches to their lunches. 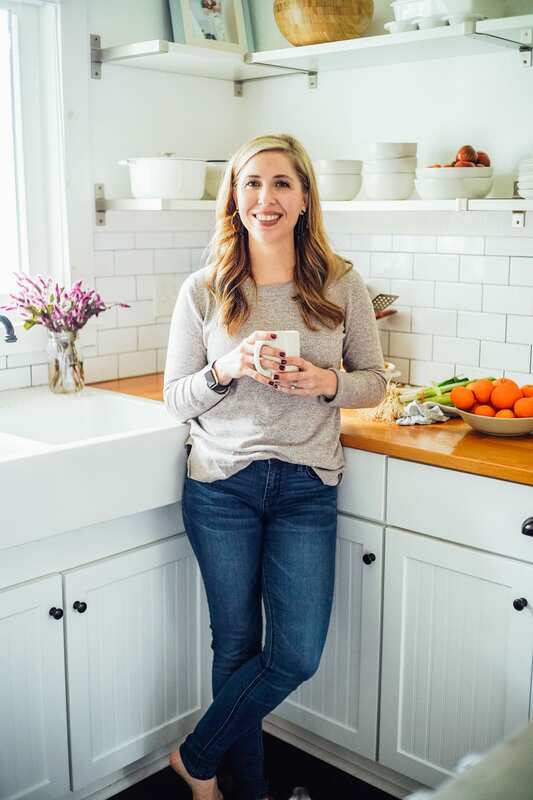 Flipping through those cookbooks with Piper gave me a lot of fresh ideas and motivation to get back to lunch-packing. <–A task that I’m not particularly fond of, so motivation and a list of ideas to pull from is necessary to keep me going throughout the school year. I’m photographing a bunch of lunch ideas this coming week, and will be sharing the ideas shortly. The post will be similar to this lunchbox inspiration post from last year. One of the ideas that Piper loved was meatballs on a skewer. 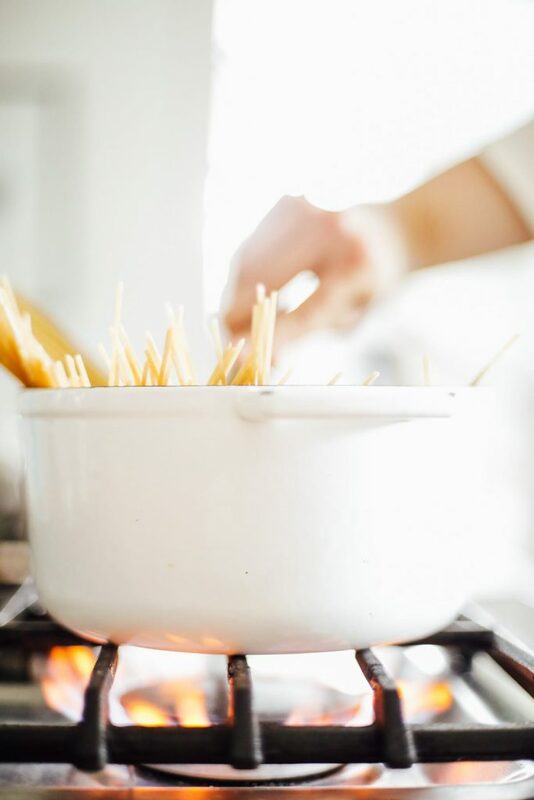 Just meatballs stabbed with small skewers, making them easy to pick up and dip in an accompanying sauce. How simple! To Piper, picking up a meatball with a skewer and then dipping that meatball in sauce is more appealing than the meatballs I’ve packed in the past. 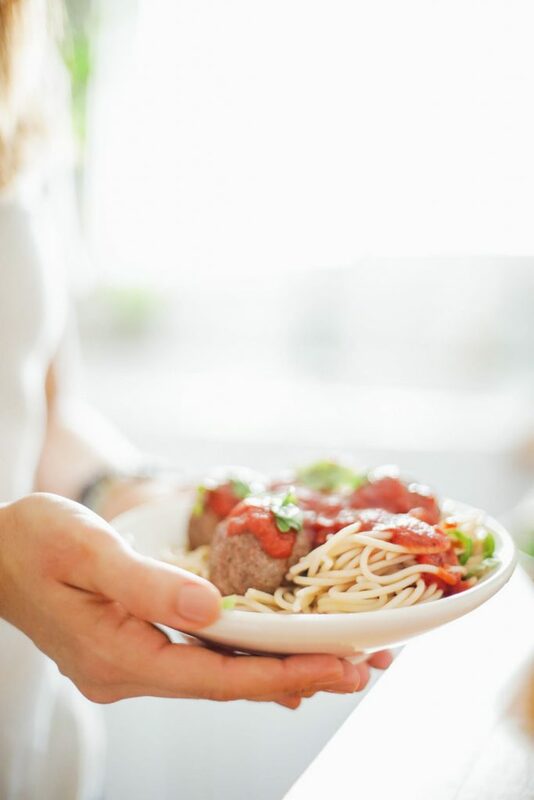 Just by making this one small change–the addition of a skewer–meatballs for lunch are exciting and fun. Kids very much eat with their eyes first. 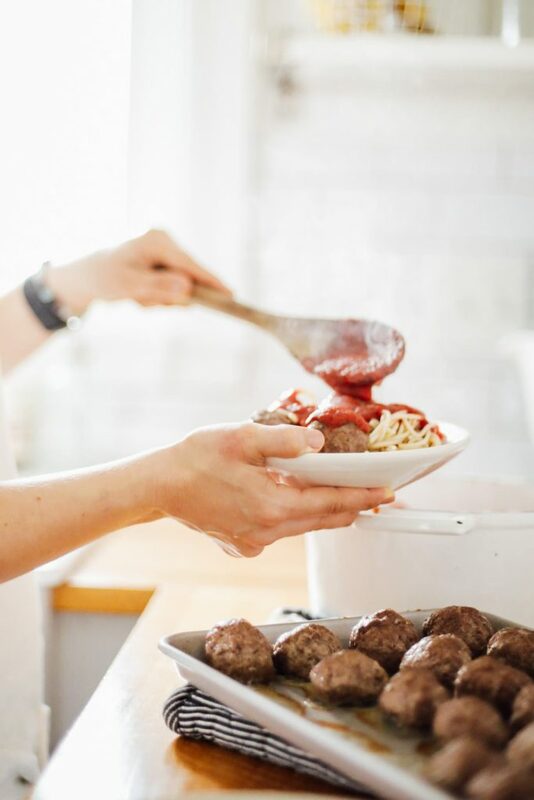 Besides being easy to make, the recipe yields around 24 meatballs, depending on size. This means, if you have a small family like ours, you’ll have plenty leftover for lunches. And guess what that means for Piper? Meatball skewers with dipping sauce! 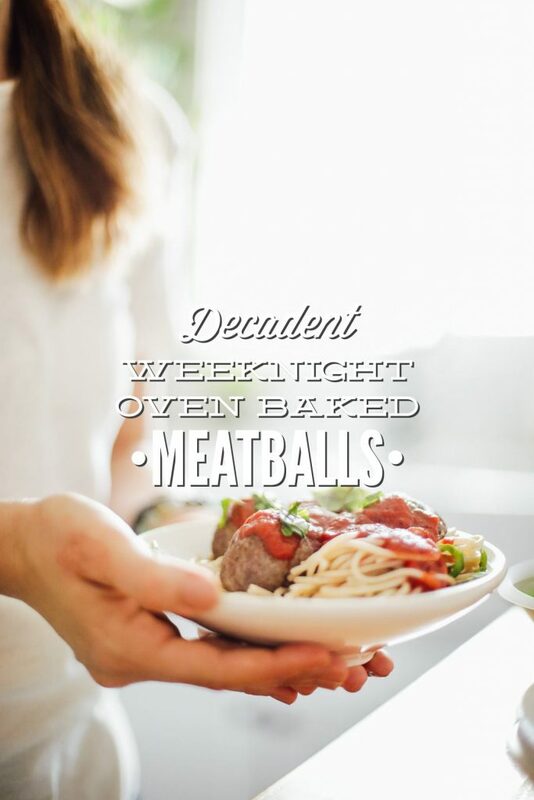 Homemade meatballs that feel decadent, but are easy to make even on a busy weeknight. 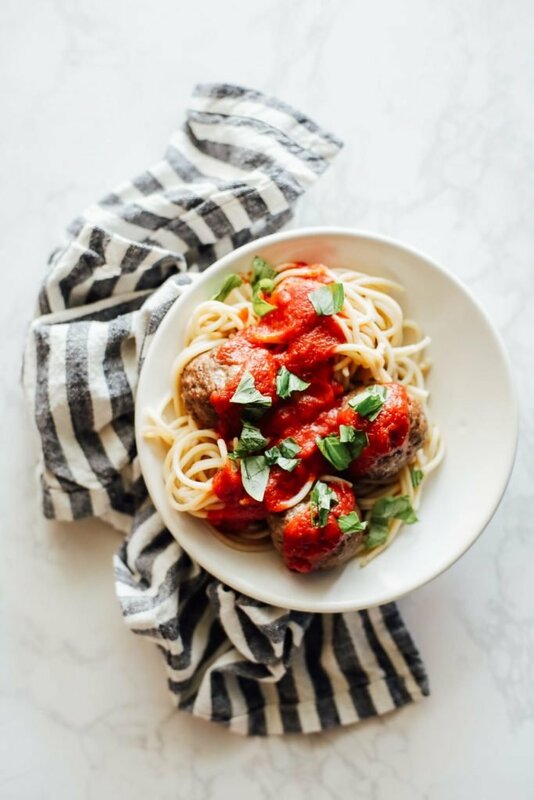 Pair the oven-baked meatballs with the simple homemade sauce for a from-scratch meal prepared in under 1 hour. Add all the sauce ingredients to a medium saucepan and combine well. Simmer the sauce over low heat while assembling and baking the meatballs (about 30 min). The sauce may be made ahead of time and reheated. Preheat the oven to 375F and line a baking sheet with parchment paper for easy clean up. 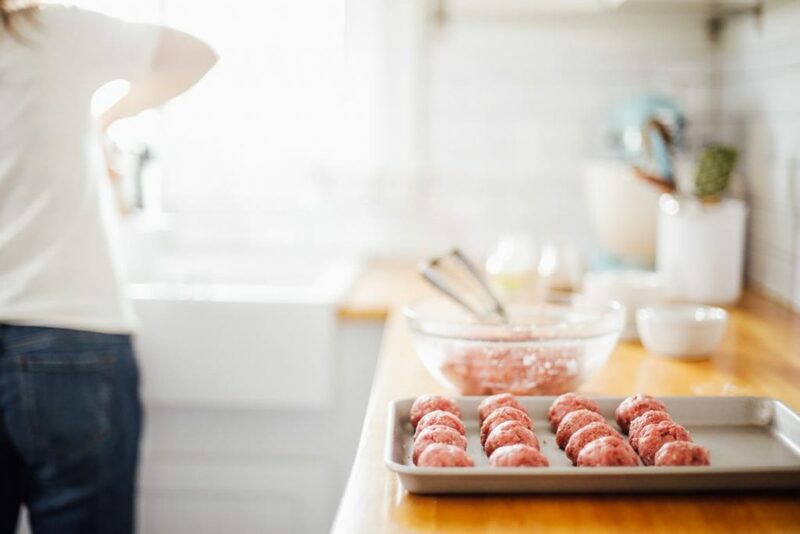 You can also bake the meatballs without parchment paper. Add all the ingredients except the meat to a large mixing bowl and combine well. Add the meat and gently combine using your hands. Divide the mixture into golf ball sized meatballs. I get about 24 meatballs. 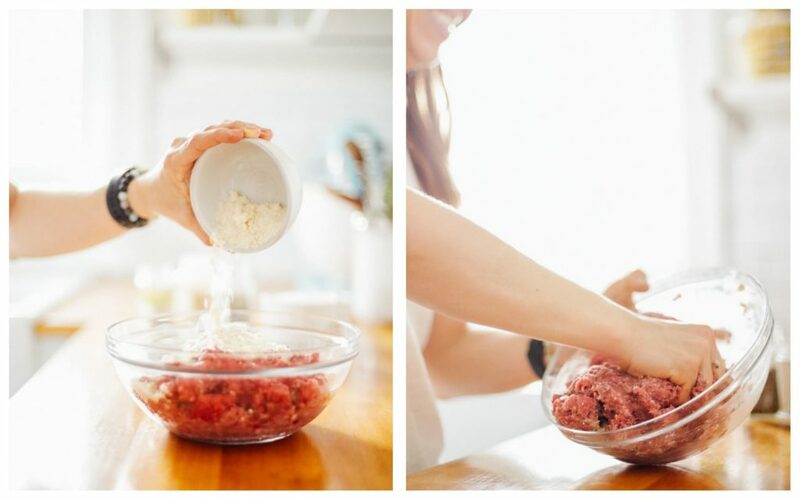 A cookie scooper works well to form the meatballs. 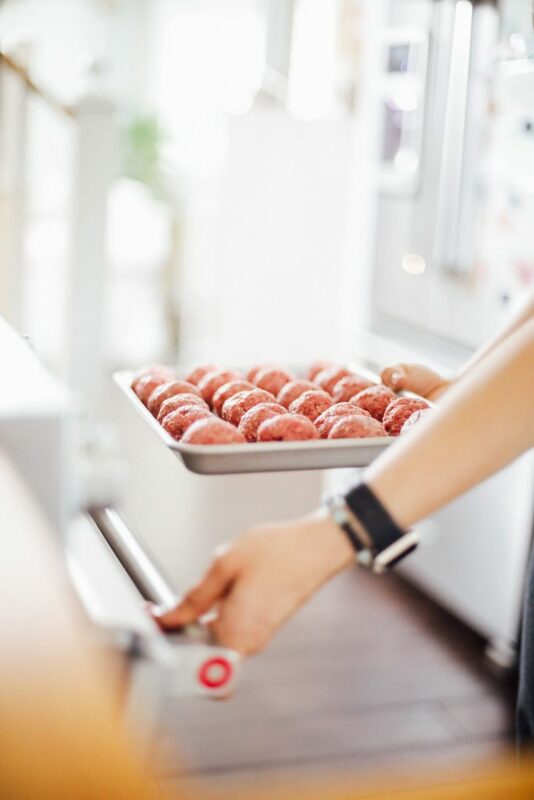 Place the meatballs on the prepared baking sheet and bake for 18-20 minutes, or until cooked through. Serve the meatballs with the sauce over your favorite cooked pasta. * I prefer to use 2 lbs of ground beef instead of 1 lb pork and 1 lb ground beef. This is up to you. Helen, who perfected this recipe, prefers a beef and pork combo. Made these tonight for my family, two boys that are 4 & 6, and everyone asked for additional meatballs. Serving with skewers and letting them dip was the best idea especially for my 4 year old! We always buy the premade kind from the grocery and this was different in taste but so much better for us so we will stick to making these from now on!!! Such an easy recipe. Yay, Autumn! I’m so glad you all loved the meatballs and sauce. And I love that your 4 year-old liked the dipping idea. On this week’s menu, using the gluten free option. 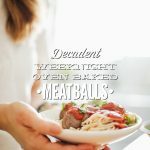 I made the meatballs tonight and it was so delicious and SUPER easy!! 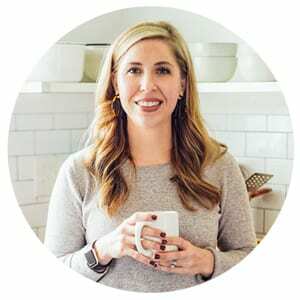 I’m so thankful for Kristin’s inspiration ideas and sharing her wonderful ideas on here! That’s awesome, Lori! So glad you guys loved the meatballs. Just wanted to say we made these again but this time they were made with just the beef since my grocery was out of pork AND I liked them better with just the beef!! Yay, Autumn! I’m so glad you liked them with all beef. That’s my fave too. 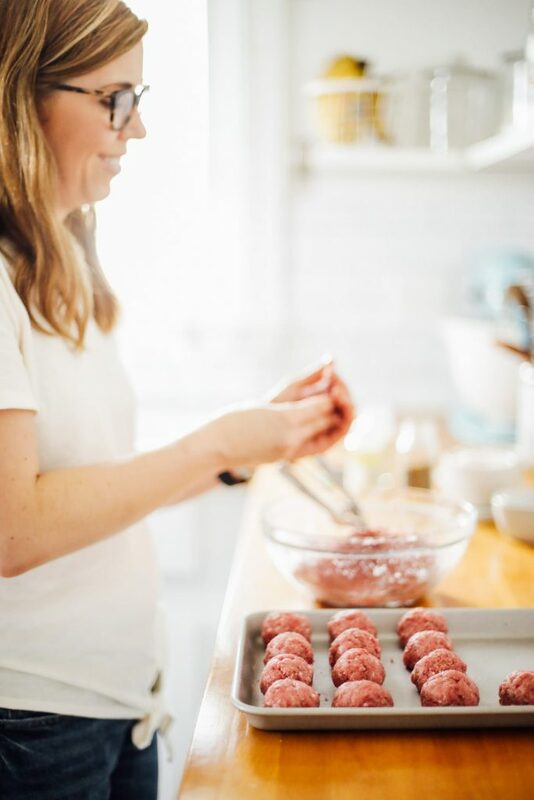 Do you ever prep the meatballs then leave them in the fridge for a few hours before cooking them? Hey Shannon, I usually don’t but you definitely can. Yay, Christina! I’m so glad you enjoyed them. Great idea! !